Scientists reported new details about the Enceladus icy moon of the Saturn planet, and revealed images of the bright and shimmering surface of it taken by NASA’s Cassini spacecraft on November 6. Photos were taken using the synthetic-aperture radar (SAR) aboard the spacecraft.These photos are highest resolution images of the planet taken so far. Enceladus is the sixth-largest moon around Saturn, and according to the new images taken by the Cassini spacecraft, there are certain similarities between Enceladus and Titan, which appears to be the largest moon orbiting the ringed planet. 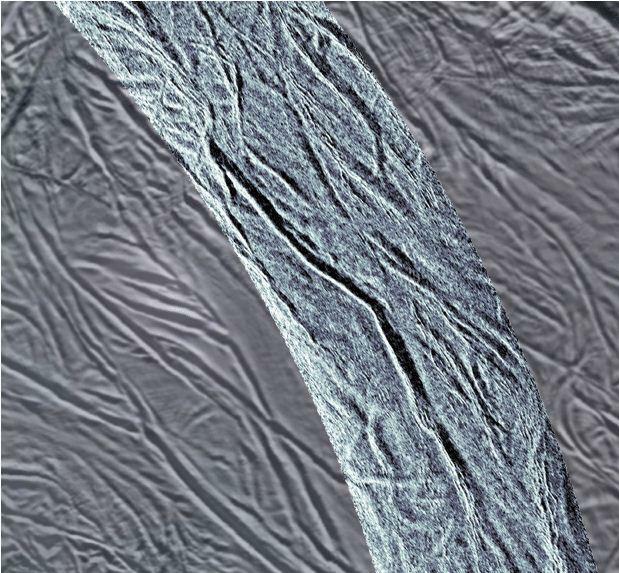 Researchers paid particular attention on the very rough surface texture on the Enceladus moon that glimmers peculiarly bright in Cassini‘s radar images. This patch is located at around 63 degrees south latitude and 51 degrees west longitude. Another area that raises an interest to the images is where Cassini spotted grooved, water-ice bedrock. Unusual undulations and intricate patterns that have not previously been seen appear on the images, located at around 65 degrees south latitude and 293 degrees west longitude on the icy moon. Launched in 1997, NASA’s Cassini spacecraft reached Saturn in 2004. The spacecraft carried the European Space Agency’s Huygens lander, which landed on Titan soon after Cassini arrived in orbit around the ringed planet. The primary mission of Cassini was completed in 2008, when Saturn, its rings and moons were explored. The mission was extended twice, and the most recent extend of the Cassini spacecraft utilization was until 2017. Let’s see what new will bring us Cassini in the next 5 years.